I am very happy that next month I will be attending my first ever 'Blogging Conference'. This is the hotly anticipated 'Britmums Live 2012'. For the first time since J2 was born I will be heading to London for two full days of pure and unadulterated 'Blog and Writing' talk. Add to this a chance to actually meet some of the real life people behind some of my favourite blogs, and I am really rather counting down the days. The meme rules ask that you copy and paste the questions, answer them, then tag another two to four bloggers to do the same. Also don't forget to link your post back to A Boy With Aspergers linky. 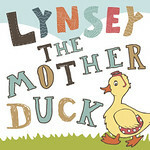 My blog is called Lynsey The Mother Duck and can be found at www.lynseythemotherduck.blogspot.com. I have been posting merrily away since August 2011, so not quite a whole year yet. Q: Will Brit Mums Live be your First blogging conference? Yes, I am a total newbie. No, just going as me. I certainly am. Travelling up early Friday. Saturday night in the big City followed by day two and then home to the Hubby and Kiddies. No. Am going to carefully plan the two day wardrobe and very much enjoy doing so. Smart casual. Skinny jeans, bold tops and fabulous shoes (with flats in the handbag). I like to take the Boy Scout moto when it comes to footwear, be prepared! No, not this year. Was a bit out of the loop on it until quite late this year. I know, I know was obviously living under a rock. Er...no actually not in particular, but then I really have no idea what type of brands will be around, so it should all be an eye opener for me. Q: What do you hope to walk away having gained from the conference? Am hoping that I should be smart enough, may take a change of accessories and handbag make up kit, to freshen up. Would love to if I can get there in time. The prospect of a solid, non broken, no 'child's foot in back' nights sleep is too exciting to contemplate! I am looking forward to all speakers, seeing Susanna and Jennifer kick it all off with the welcome, then of course, the Legend that is Ruby Wax. I would love to see Allison Pearson too, but am torn between workshops sessions for that section! Am also very much looking forward to meeting and listening to Kate, from Kate on Thin Ice and think Sarah Brown will be very interesting. As I mentioned, I have a dilemma over which session I would like to attend; Bloggers Studio - Getting published (this was the clincher for purchasing the ticket after all!) or Discussion Den - Can you really have it all (where AP will be speaking). The Husband assurred me that he was going to sort this out. He hasn't yet. This is a reminder that I need to start nagging. Depends how long the original party lasts - see answer to the early morning bloggercise! I do not do hangovers and lack of sleep well and really do not want to spoil day two. Q: Are you worried about not knowing anyone or being confident and socialising on the day? I am a little apprehensive, but having read comments from most first time attendees, everyone is feeling the same and that is perfectly natural. I am not nervous, more excited. I am quite a chatty, smiley person and it seems that it is going to be a friendly event so think everyone will be fine. I am super pleased to find out that some people that I have been following blogs of are attending (yes Older Mum in a Muddle, you!) and am hoping that friendships will be forged over the course of two days. As always the thing that I get most nervous about is navigating my way the venue - I have ZERO sense of direction (and not a great deal of common sense when it comes to finding a route). Studiously taking notes through sessions and smiling and laughing (and sometimes being a bit loud) out of them.